Life Ionizer vs Kangen: Who Makes the Best Water Ionizer? Greetings everyone, in my last article I put the Tyent UCE-11 up against the Life MXL-15, and today I’ll be comparing the Life Ionizer vs Kangen. In my comparison between the MXL-15 and Super501, you’ll see if Kangen’s assertion is true. First, let’s compare the place of manufacture, certifications, and company history. Where are Kangen Water Ionizers manufactured? 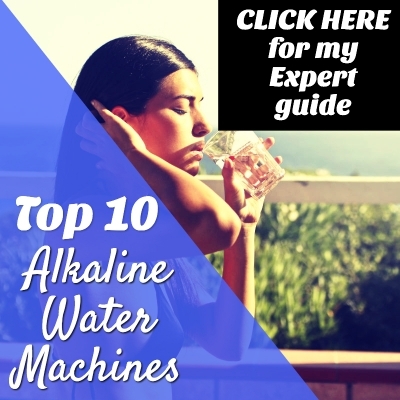 Where are Life Ionizers alkaline water machines made? Enagic, the producer of Kangen Water, has been in business since 1974. The company currently has 38 locations sprinkled across 23 countries. Enagic manufactures its machines in Japan, and the company has the certifications to back up the quality of its products. They list three different ISO certifications on their website, an A+ BBB rating, and an FDA certificate, among other certifications. When you buy a Kangen water machine, you’re buying a medical-grade water ionizer from one of the leaders in the water ionizer industry. However, the question I’m always led back to when I compare Kangen to other leading water ionizers is: Is Kangen worth the extra money? Life manufactures its ionizers in South Korea and Japan. They also produce their machines in an ISO-certified facility and have a medical-grade certification in South Korea. Life claims that the best ionizers are manufactured in Korea and Japan because only in those two countries can consumers be sure they’re getting a medical-grade ionizer. The one difference I do see is that Life doesn’t have an FDA certificate. Instead, they feature certs from the Korean and Japanese equivalents, the KFDA and Japanese Ministry of Health. Life also doesn’t have a BBB rating. Instead, they feature their top-notch reviews on Trustpilot. They currently have 86% 5-star reviews. Life has been in business since 1996 and currently has offices in USA, Europe, Canada, and Australia. Overall, both companies have legitimate profiles, with Kangen having a longer company history and a few additional certifications. Note: horizontal scrolling is enabled for all devices. As you can see, both machines come packed with powerful features. The one thing I don’t like about the Kangen is the 3-year warranty. Since premium alkaline water machines are built to last a lifetime, it’s surprising to see that Enagic doesn’t offer a lifetime warranty on its parts. Also, the maximum negative ORP of the Super 501 comes in at roughly 200 points less than the MXL-15. The MXL-15 also has a wider pH range, however, most people don’t need to produce water outside of the Super 501’s pH range. Both ionizers produce alkaline ionized water at a faster rate than most other ionizers on the market. The Super501 produces up to 2 gallons of water every minute for 30 minutes while the MXL-15 has a maximum flow rate of 6 liters per minute or approximately 1.5 gallons. The Super501 is the winner in this category if you’re concerned about producing that extra half gallon of alkaline water every minute. For most families, 1.5 gallons per minute is more than enough. The MXL-15 is available in both countertop and under counter models while the Super501 is countertop only. This could be a dealbreaker for those of you who wish to save valuable counter space. The MXL-15 under counter model also comes with an attractive digital display on the faucet that allows you to change water settings right on the faucet. Through my research, I’ve found that only the most premium water ionizers include a molecular hydrogen boost feature. Both the Super501 and MXL-15 boost molecular hydrogen in every glass of water. The only water ionizer I’ve come across that has the option to turn on the hydrogen boost feature is Tyent’s UCE-11. The Leveluk Super 501 is currently being sold for $5,980.00 by Enagic’s online shop. The countertop version of the MXL-15 is currently being sold for roughly $2,000 less at Amazon while the under counter model is roughly $1,500 less. Considering the features offered by each unit, it’s difficult for me to justify paying the extra money for the Super 501 unit. Also, I prefer to buy an alkaline water machine with a lifetime warranty on its parts. Now, let’s check out both ionizers in action so you can decide which one you prefer to have in your kitchen. As I mentioned in the opening sections, both companies sport solid customer reviews. Enagic stands behind its A+ BBB rating while Life currently has an 86% 5-star rating on Trustpilot. One thing I do like about Life Ionizers is the testimonials section on their website. They have lots of testimonials with pictures of real people on their website. In my opinion, the reviews look legitimate because I think it would be difficult for a company to fake so many reviews. Enagic, on the other hand, doesn’t feature a testimonials section on its website. Overall, I think both alkaline water machines are legit, but once again, I can’t justify the high price tag for the Kangen. Life Ionizers stands behind its product with a lifetime warranty while Enagic offers just a 3-year warranty. What I do like is that both machines are manufactured in Korea and Japan, which is where consumers should look to buy their ionizers. Plus, I prefer to have an under counter unit to save myself valuable counter space. Especially, since I like to cook. The Leveluk Super 501 machine is somewhat monstrous and looks like an octopus with all its hoses. The MXL-15 under counter model is clean and allows you to change the settings right at the faucet. The winner in this match of Life Ionizers vs Kangen is the MXL-15 in my opinion. Click here to see the current price of the MXL-15 under counter model at Amazon.